In Kind Direct distributes products donated by companies to charities, social enterprises and not-for-profits, who then use these products to improve their services and help their beneficiaries. Since 1997, £200 million worth of products have been distributed to 9,600 charities, saving 25,000 tonnes of good quality products from going to land fill. Help In Kind Direct raise precious funds to continue providing charities with the products they need to run their activities and support their beneficiaries. 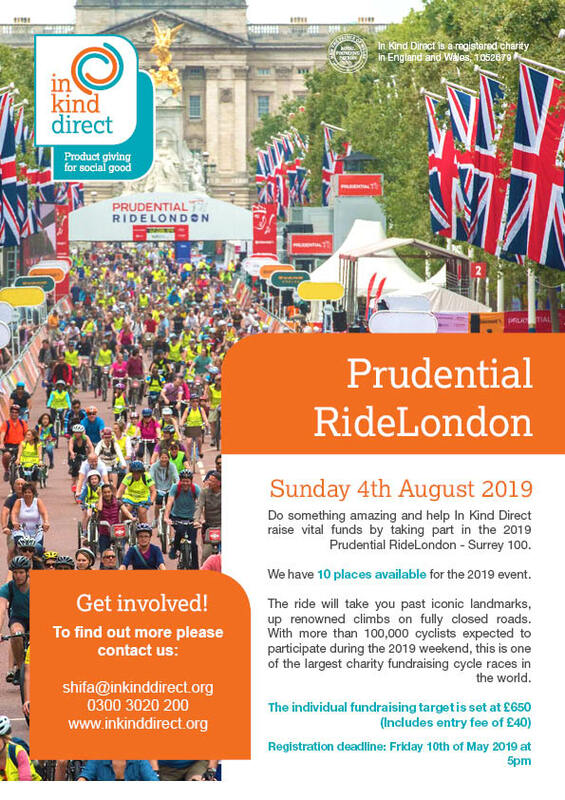 This is a fantastic way to support not just one organisation, but thousands of grassroots charities across the UK tackling a huge range of issues, through In Kind Direct.